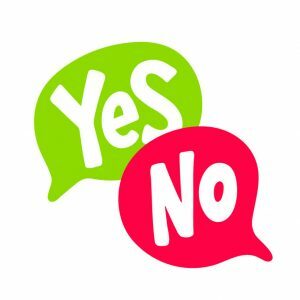 How do you “just say no?” You’re a hardworking consultant or enterprise employee. Your day, your week, your life is replete with tasks and deadlines, and it feels as though there’s just not enough time to get things done. Yet you’re under pressure to dive in and say “yes” to everything that comes done the pike? 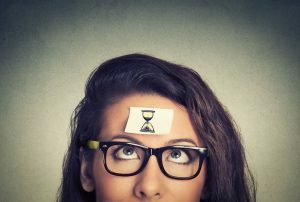 In an environment where you feel that your performance and your attitude are under scrutiny, how do you manage your time better? How do you relieve the sometimes-overwhelming sense of stress you live with? Ms. Saunders notes that her clients struggle to manage three areas: time commitments, tasks, and time frames. Consider these scenarios. We all have a list of daily tasks as long as our arms and the more contact we have with our fellow human beings, the greater the potential for that list to expand. Ms. Saunders notes that you have “every right to say no” when someone asks you to do something that’s not on your list of responsibilities. But you may need to retrain others not to look to you as their first resort. She suggests saying something like, “Gee, that’s not one of my competencies, but I know someone who can help. Here’s her contact info.” She also proposes that the next time you’re in a meeting and tasks are discussed, keep your mouth shut. “Not offering to help is one of the best ways to say no.” All this assumes of course that you can’t genuinely can’t take on anything more. My thought: Saying no is a professional responsibility, not a matter of caprice. Last week’s post discussed the importance of preheader text, and this week’s post continues that theme. Alex Ilhan (@omgitsonlyalex) of Email on Acid presents excellent ideas to help you improve preheader text. 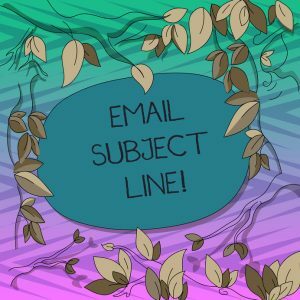 Last week, I talked about how your subject line and preheader text can and should work hand in hand to grab reader attention and increase open rates. So often, Mr. Ilhan points out, one of the first things your audience may see is “Having trouble viewing this email? Click here to view it in a web browser.” And he asks if this is how you want to use such valuable real estate. Clearly, the answer is a resounding “no.” And here are five simple ideas to help you transform reader indifference into a desire to engage. Offer an overview. Use the preheader to summarize the message you want to convey in the body of the email. I bet you can think of great examples of content that stimulated your interest and examples that squandered the space. 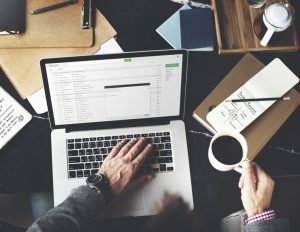 “Make your subject line and preheader text one cohesive message.” In her 2015 post, Pamella Neely also urges the use of this technique. Make a special offer. That is, use the preheader to tell readers what they’ll see in the email. This is an excellent place to mention discounts, freebies, or perhaps a special event. Get personal. This works for the subject line, and as Mr. Ilhan says, it most likely will work with your preheader. But make sure you get your reader’s name and any other personal details right. “Write fun, engaging copy.” This is probably not as easy as it sounds, so get colleagues and friends to read your copy and offer their opinions. Humor can be dicey, and what you think is terrific may fall flatter than half a pancake when read by discerning eyes. Fatuous humor is annoying, of course, but you definitely don’t want to offend anyone. Bonus point: Preview your preheader. There are tools out there that allow you to see what preheader text looks like on popular email clients and devices. I’m guessing that there’s no need to advise you not to skip this step. We all get too much email. It bounces merrily into our inboxes, lying in wait for us every morning. Even those of us who like email confess that it gets pretty overwhelming at times. So use preheader text to ease the burden on your readers. As Pam Neely (@PamellaNeely, @Copyblogger) has pointed out, preheader text that makes smart use of space is particularly important, because more emails are opened on mobile devices than on desktops. So it behooves those of us who run marketing campaigns—or create content for them for them—to know how to optimize preheader text. And you know what preheader text is, right? It’s the text that follows the subject line when you open an email in your inbox. 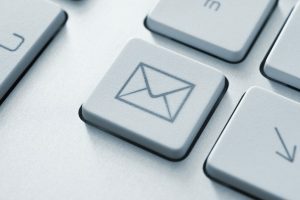 Your readers use it, along with the subject line, as a prescreening tool to decide whether or not to open your message. Here’s what you need to do to create an effective a preheader. As with your subject line, you’ll want to keep it brief so that emails client don’t cut it off. A preheader is valuable real estate; you don’t want to squander it by using more than 40-50 characters. iOS native apps may give you a little more, but keep your preheader short anyway. In this case, less really is more. Your subject line and preheader appear next to each other, so they should play nice. As Ms. Neely says, “ … the two need to work together to tell a cohesive story rather than be thought of as two separate parts of your email campaign.” This really makes sense, and it drives home the point that even with limited character count, you still need to think in terms of telling a story. The best crafted message comes to naught if you don’t tell your audience what you want it to do—which is to open your email. Why not do it sooner, rather than later? I add, a call to action is great, as long as it isn’t misleading. You never want to squander potential good will. I still think of email the same way I do about getting a package in the mail. Yes, it’s old fashioned, and yet the excitement of double-clicking and reading the particulars of an offer has undeniable appeal. Just make sure that your message delivers on the promise of your subject line and preheader. Make good use of character count. Marketers generally try to keep subject lines at 40 to 50 characters. (A few years back, I attended a webinar where the presenter recommended no more than 41.) Ms. Gregory notes that you can go for fewer or more to increase the likelihood that your message will stand out. It’s well to remember, though, that less is more. So many people open email on their phones, and iPhones, for example, cut off subject lines somewhere around 35 characters. Offer something valuable. That is, tell potential readers what they’ll get if they open your message. Ms. Gregory says, “This one’s a bit of a no-brainer, but you’d be surprised how few brands consider it when writing their subject lines.” Be explicit about the content and never be misleading. Huge thanks to Ms. Gregory for this great link. Pay attention to the preheader. According to Ms. Gregory, “. . . preheader text can actually be what makes or breaks the success of your subject line.” Preheader text adds octane—or not—to your subject line, gives you more characters to work with, and is likely what convinces a recipient to open your message. Be aware of how much preheader text various email clients support. Know your audience. And your brand, of course. Be authentic. Don’t get cute if that’s not your brand voice. Similarly, don’t be dead serious if you’ve been effective with a light-hearted message. Run tests. In today’s data-driven marketing environment, this should go without saying. You assume that you know your audience, but nothing is static. Your industry may be changing. Technology is evolving. You may have expanded your audience. So it’s a good idea to keep on top of changes. I think testing will really repay you, even if it takes extra time. A while back, some pundits were predicting the demise of email. But it’s still here and not about to go anywhere, so it makes sense to do all you can to improve your chances of being read. 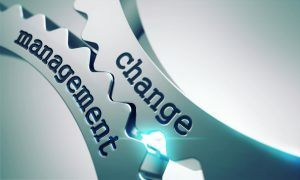 What’s your take on change management? Are you an enthusiast who thinks it’s the best way to handle potentially transformative organizational change? Or do you see it as a smoothly orchestrated attempt to convince employees that they need to work harder with no increase in compensation? Organizational change is inevitable, and it’s clear that it can be handled well, poorly, or somewhere in between. 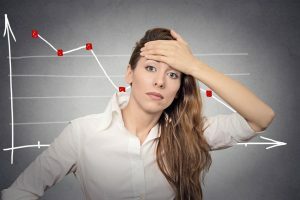 If you want to feel better about change management, you should read an article by Patti Sanchez (@pattisan), chief strategy officer of the well-respected Duarte, Inc. and coauthor, with Nancy Duarte, of Illuminate. If you’re the CEO of a large company or the owner of a small business contemplating the need for major changes, read on. If you’re the employee of a company on the verge of change, read on to get a sense for how well your management is preparing you for what may be major changes in your work life. According to Ms. Sanchez, successful organizational change has its foundation in empathy. She also makes an important point: it’s not so much what the change encompasses, it’s how people feel about it. Further, she observes it’s how information about change is communicated to employees during a change that matters more than what information is communicated. Tell those facing change what to expect. Ms. Sanchez says “. . . The more informed your people are, the more they’ll be able to deal with discomfort.” I’m thinking that the more people know, the better you’ll be able to reduce gossip and rumor-mongering which proliferates bad morale and a generally bad attitude. That’s got to be a benefit. Ms. Sanchez notes the transparency will help management build credibility and trust. Finally, involve people at all levels of the organization, because “transformation won’t succeed without broad involvement.” That makes sense. On the other hand, I believe that when people are solicited for their ideas, which are then ignored or brushed off, change management seems manipulative. Yes, organizational change is inevitable. It can bring good news or bad news, but the way it’s communicated is critical. I’ve spoken to people who believe that change management reduces organizational trauma and ultimately strengthens a company and a brand. I’ve also spoken to people who are more cynical. 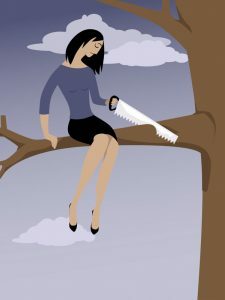 The reason I find this article so useful is that it’s not just about recovering a sales relationship; really, it’s about fixing any human relationship that you’ve messed up. (Anyone who reads my posts with any regularity knows that I think we’re all in sales every day, even though that’s not our job title. Here’s what Ms. Levitin recommends. “Put the Shoe on the Other Foot.” In other words, be empathic. Really, truly listen to what your customer is saying. Ms. Levitin says, “You may or may not be able to make things better but you can start to mend the relationship.” Empathy is wonderful, but I think it may take practice. We’re living in a fast-moving world, and I wonder how many of us think there’s much reward in empathy. “Don’t Get De-Feeted.” This suggestion speaks to our all-too-human desire to fix things fast, whether it’s a problematic sales relationship or our relationship with our Aunt Maude. Ms. Levitin suggests the we ask our customer what they’d like to do. She also cautions against making promises we can’t keep. And she says, “If you can’t fulfill a promise, proactively create new agreements, then make sure to follow through.” If this last idea seems just a little off, think about it. We all want what we want when we want it, but remember how you felt when the customer service rep suggested an acceptable alternative. Maybe not overjoyed, but reasonably o.k. Moving a sales relationship that didn’t start well—or any relationship for that matter—forward requires courage, competence, and creativity. I’d like to think I’ve got those qualities at the ready, and I’m guessing that you do too. It’s been a while since I’ve blogged about sales success, but I recently ran across this great HBR article by Joseph Curtis, VP of enterprise sales at Salesforce and couldn’t resist writing about it. “The 5 Things All Great Salespeople Do” details what sets successful salespeople apart from their peers and sheds light on why they consistently outperform everyone else in their organizations. The first thing top salespeople do is “own everything.” That means they take responsibility even when a situation they find themselves in is not their fault. They don’t blame the territory, the management, or anything else. This brings the blush of shame to my cheeks. Many years ago, as the first saleswoman hired by Dictaphone in Washington, DC. I blamed everyone for everything. I got the rookie territory, there weren’t enough demo machines to leave with prospects, the paperwork was onerous . . . You get the picture. They are resourceful; they are MacGyvers. As Mr. Curtis puts it, they assess their strengths in the face of difficult circumstances and make things happen. “Resourcefulness is as much a mindset as it is a skill . . . If you don’t start with the MacGyver mindset, then you will never fully develop the skills associated with being resourceful.” Mr. Curtis recommends that the next time you find yourself in a difficult position, you put down your phone, turn off your computer, and focus on alternative ways to get to your goal. They are experts. “Sales,” says Mr. Curtis, “is less about selling and more about leading, which requires high levels of confidence, which in turn requires knowledge and experience.” So work on acquiring industry knowledge and a point of view about what you’re selling. Don’t, as I and my less-successful colleagues did, blame the product for our failure to sell it. They help each other. Mr. Curtis notes, “Regardless of where you are in your career, there is someone else you can help. I remember with gratitude the sales guys who helped me, even though they did rib me a bit for general ineptitude. As a writer, I’ve been grateful for the wisdom others passed along when I started my business and am happy to say that I’ve been able to pay it forward. They move quickly. These professionals are not reckless, but they do have a sense of urgency. They respond without delay. 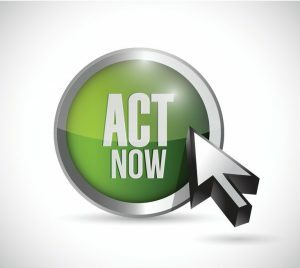 They do what needs to be done to help customers and prospects make an affirmative decision. Those of you who read my posts know that I believe we are all in sales even if that’s not our official job title. We’re endlessly persuading others to do what we’d like them to do—whether it’s to go out with us, accompany us on a run, mow the lawn. You name it. Life is filled with possibilities to put our sales and leadership abilities to work, and I believe we’re all the better off for it when we do.